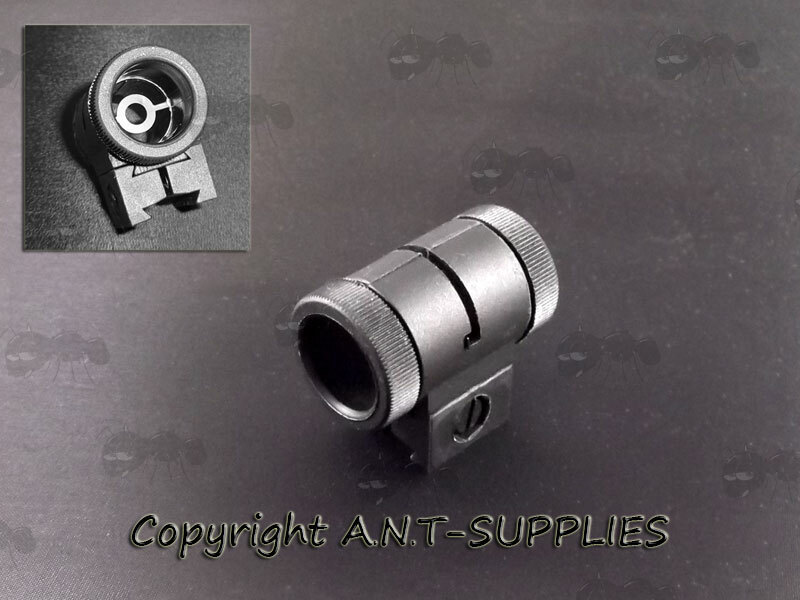 The front diopter fits Air Arms S200 and MPR rifles and other rifles with dovetail groved muzzles. 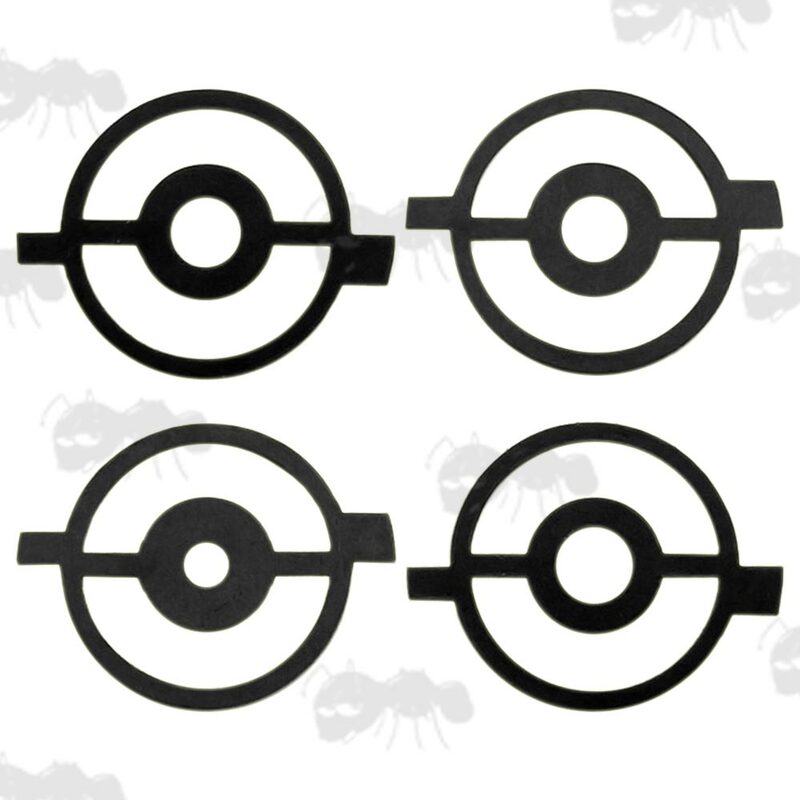 Also available ~ Rear diopter sights. Fits standard UK dovetail rails. Black plastic with metal fittings. The insert is 17mm in diameter and 0.5mm thick, marked as .4.4 (4.4mm aperture). 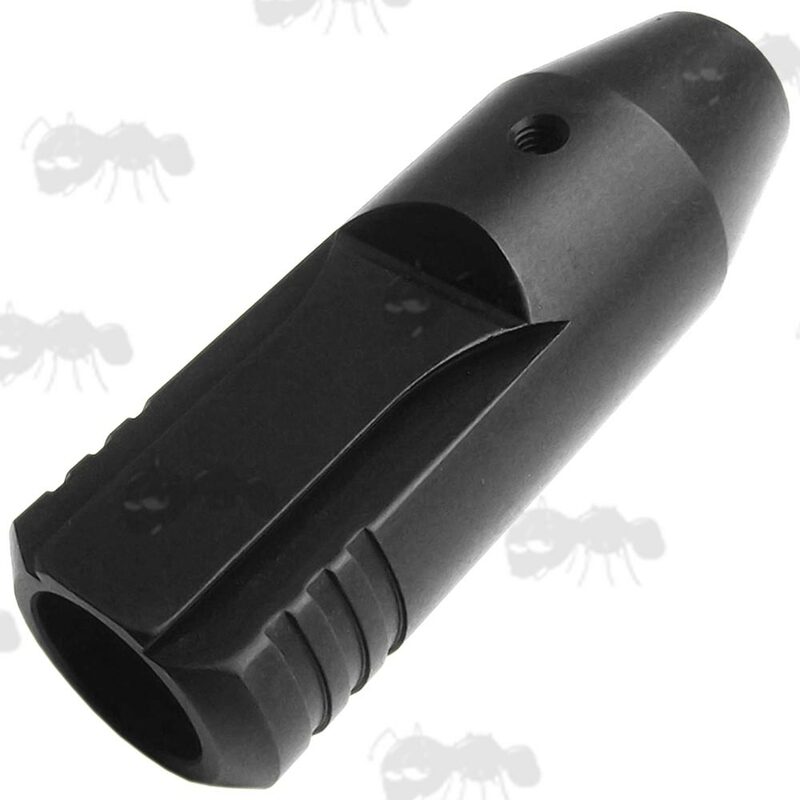 Total length is 36mm with a 18mm long rail fitting. 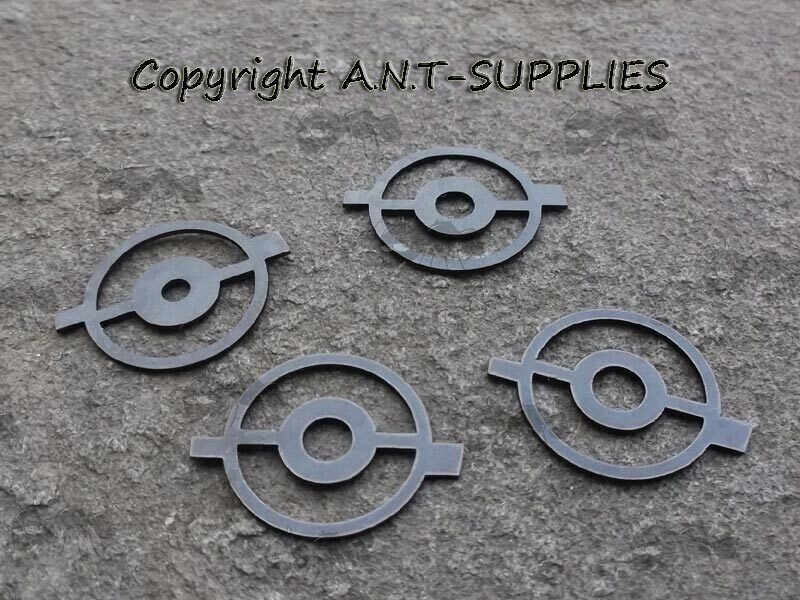 Globe front sight element inserts, one of each 2.6mm, 3.8mm, 4.0mm and 4.4mm apertures. 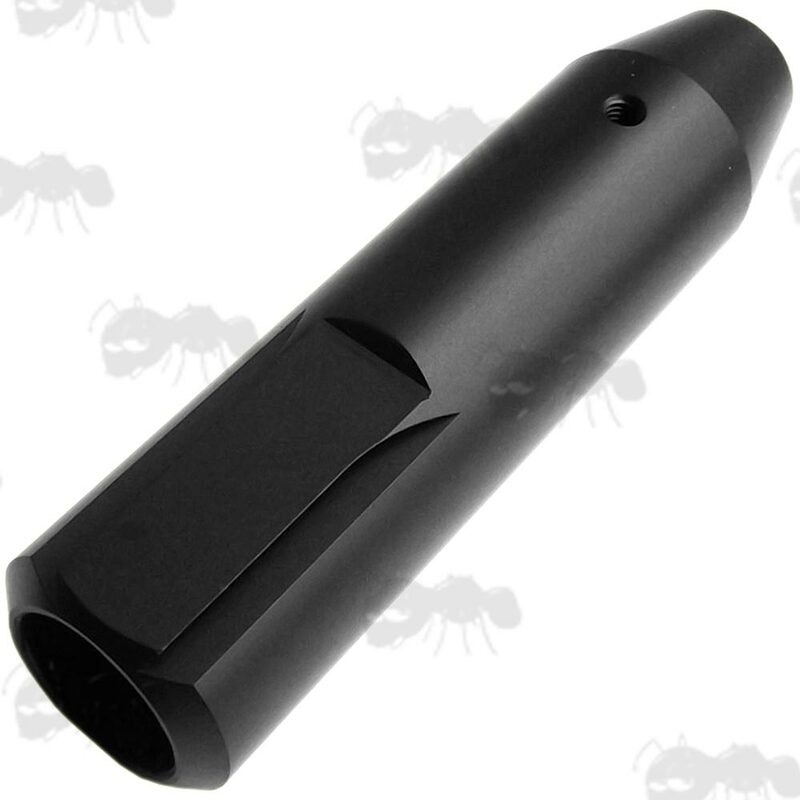 Air Arms aluminium muzzle end with dovetail groove rail. 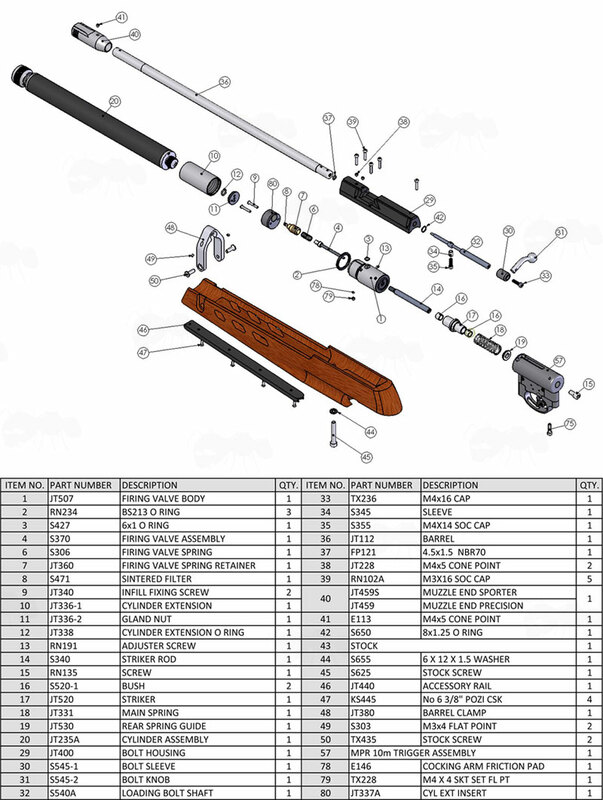 Air Arms S200 rifles ~ 15mm internal diameter (length 74mm), weighing 43 grams, requires the flat end grub screw. 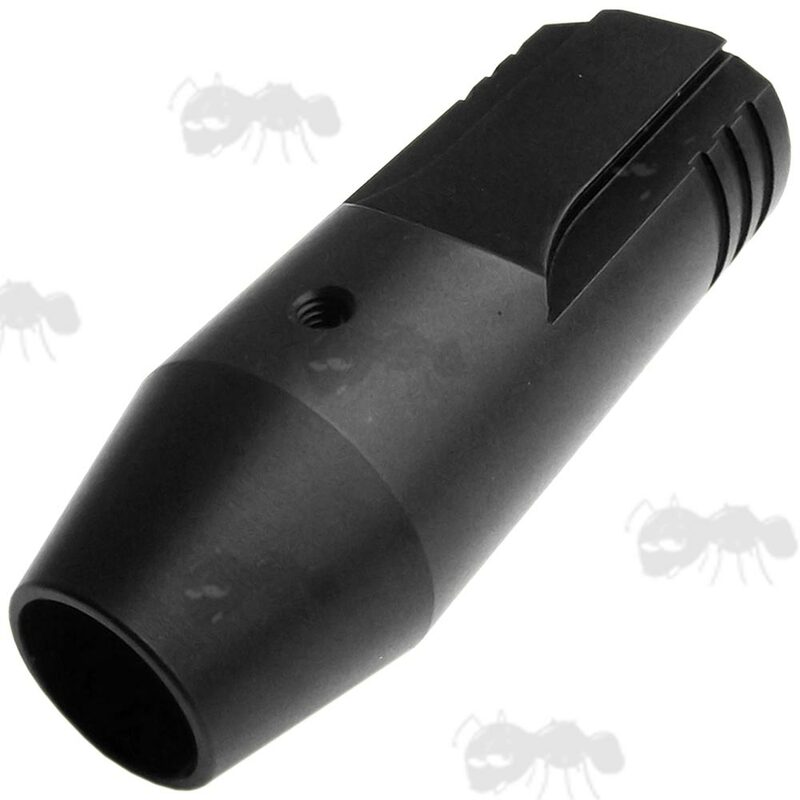 Air Arms MPR rifles ~ 14mm internal diameter (length 73mm, short version), weighing 47 grams, requires the cone end grub screw. Air Arms Biathon rifles ~ 14mm internal diameter (length 101mm, short version), weighing 62 grams, requires the cone end grub screw. 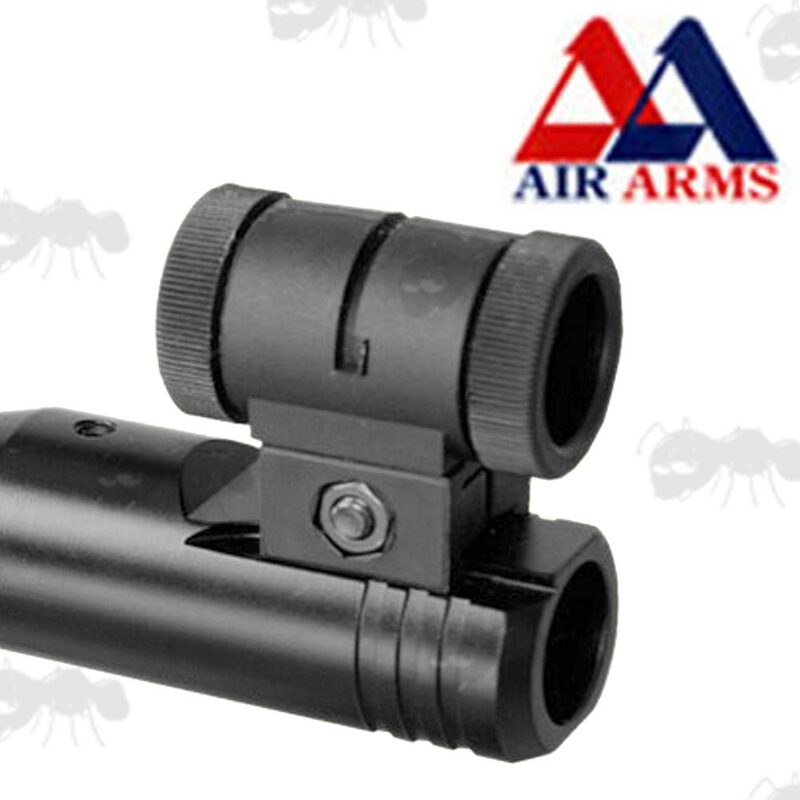 Air Arms S410 rifles ~ 10mm internal diameter (length 90mm), weighing 60 grams, a new metal version is now available ~ Air Arms S410 and other 10mm barrels railed muzzle. 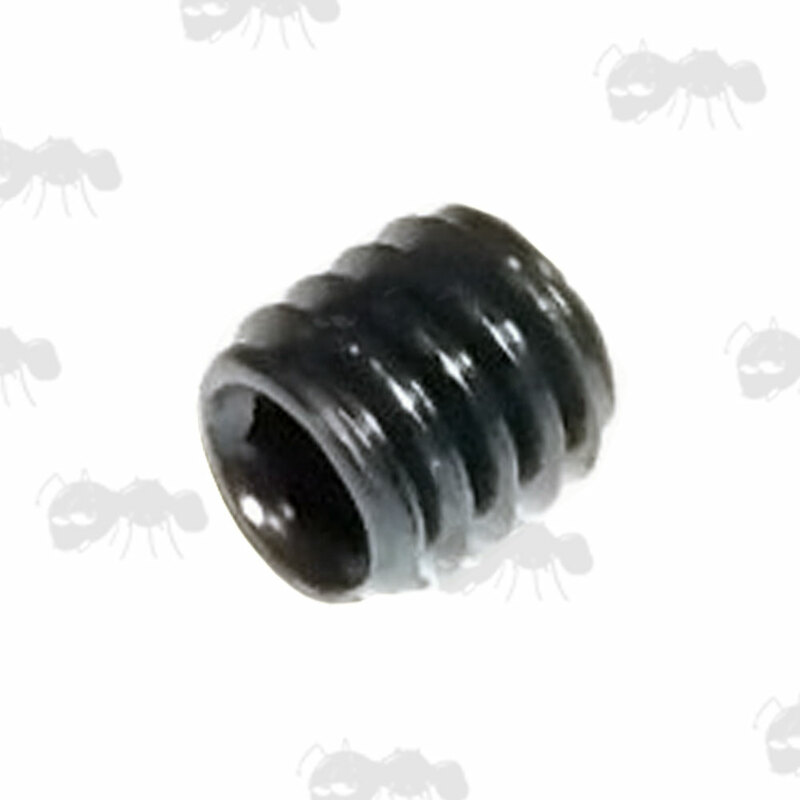 The grub screws are not included, but are available at a reduced price if ordered at same time. Lower price if ordered at the same time as other items or available here separately. 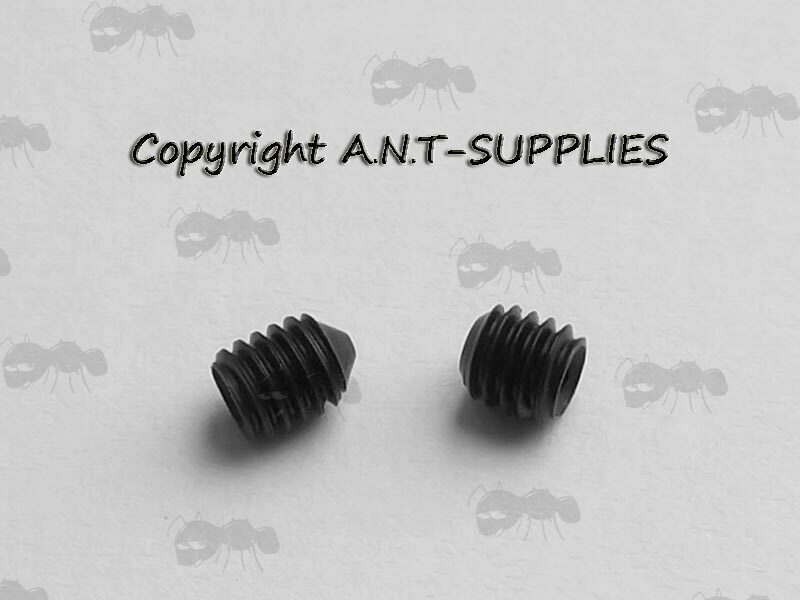 Air Arms Spare Part Number TX228, flat base grub screw. Secures the standard and dovetail muzzle on the S200, S400, S410, S510 and TX200. 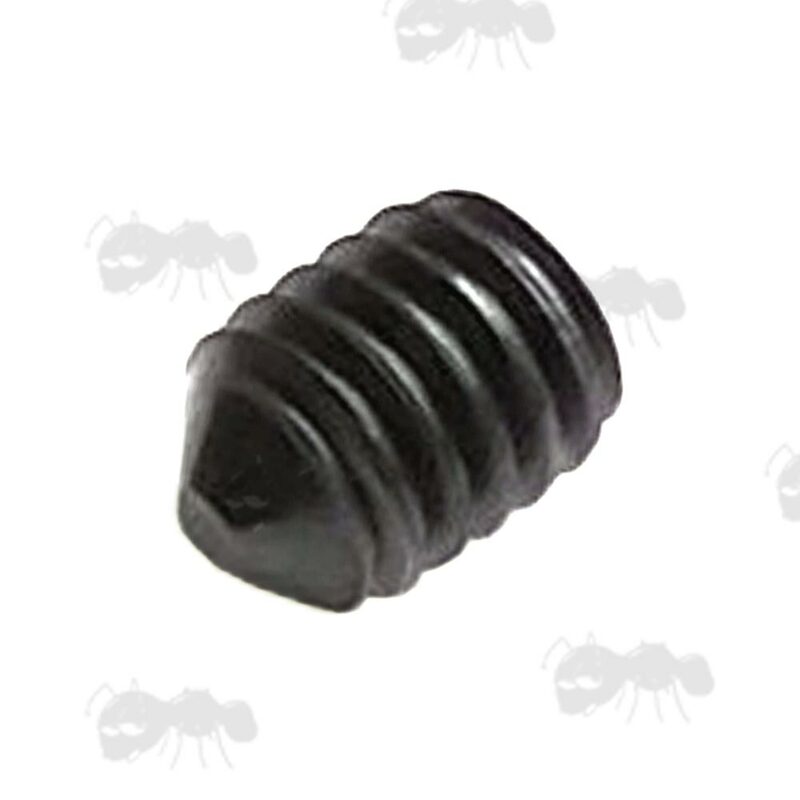 Air Arms Spare Part Number JT228, cone base grub screw. Secures the long and short dovetail muzzle on the MPR and Biathlon. 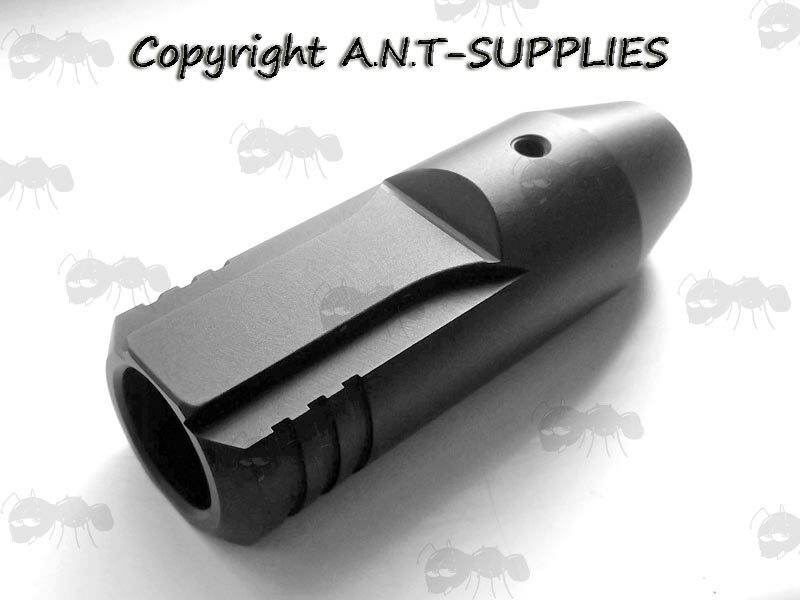 MPR 10m grooved short muzzle end (short) sporter, part number JT459S.